Camellia oil is obtained from the plant called Camellia japonica. This valuable liquid is cold-pressed mainly from its seeds. Using camellia oil in China and Japan has a long tradition. It is used in the care of hair and skin. Check for yourself whether your will like it. There are three types of this plant: Camellia sinesis, Camellia japonica and Camellia oleifera. Of course, all of them belong to the same family of plants, which is why camellia oil is also known as tea oil. Is it correct? Many hair maniacs that apply this product confirm this thesis. Remember, however, that drugstores offer a completely different cosmetic called tea tree oil. Camellia oil has a light consistency. Therefore, it does not leave a greasy coating on the skin, is absorbed quickly, does not weigh hair down and does not stain clothes. Moreover, the product comprise many nutrients that are essential for proper functioning of human body. The cosmetic will work perfectly during an intense beautifying and regenerating treatment. 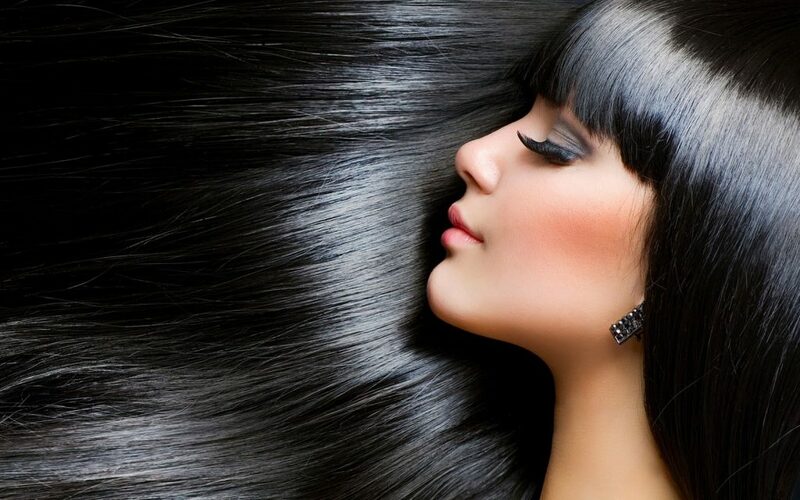 It takes care not only of the appearance of hair and scalp but also, in a visible way, improves their condition. How does camellia oil work? Camellia oil used regularly,provides hair with shine, softens and smooths. It has deeply regenerating, nourishing and renewing properties. The product seals the cuticle layer which in consequence makes hair shiny, smooth and easy to style. Additionally, camellia oil works well on curly hair. It maintains curls and enhances the structure of such hair type. In addition, it facilitates straightening and blow-drying with a large round brush. Camellia oil contains oleic acid (omega-9) which boosts the transport of nutrients contained in different cosmetics. What is more, the product is rich in vitamins A, B, C and E which are responsible for young and healthy appearance. Furthermore, it protects hair from harmful sun radiation, tames unruly wisps and harnesses frizzy and static strands. How to use camellia oil? The cosmetic must be applied on clean, damp hair and scalp. Remember to perform a massage in order to evenly distribute the product. This will also stimulate blood circulation, relax, and allow the active ingredients to be absorbed much faster. Leave the product in for about 30 minutes. After this period of time, wash your hair and scalp with a gentle shampoo. However, if you applied only a small amount of oil and your hair tends to be very frizzy, dry and damaged, you can omit this step. What is more, this product will work perfectly as an addition to hair masks or hair conditioners. Did you know that camellia oil is often used in the production of cosmetics designed for hair care? It is a perfect combination with other oils, such as: corn, pracaxi and argan oil. What is interesting, it is also added to an oil especially designed for men’s beard care. Combined with rosemary oil, grape seed oil, jojoba, cedar and many others, creates an amazing blend which every man should have in his bathroom.